What Is the Most Powerful Scope? It’s not necessarily true that more (magnification) power means better scope action, but shooters and marksmen seemingly can’t get enough of the idea that they could see the pores or fine hairs of their targets (they can’t, but you get the idea behind that hyperbole). With that said, even though this is a review about the most powerful scopes, which of them is the most powerful scope isn’t actually a secret: It’s definitely the March X-Series 8-80x56mm Scope hands down, with its impressive 8x to 80x magnification range that’s absolutely crazy seeing that most standard scopes go for about 20x to 25x in maximum magnification. Click here for price! Rated 5 out of 5 stars from 5 customers. Click here for price! Rated 5 out of 5 stars from 2 customers. Click here for price! Rated 5 out of 5 stars from 1 customer. Click here for price! Rated 4.6 out of 5 stars from 7 customers. Click here for price! Rated 3.7 out of 5 stars from over 70 customers. Click here for price! Rated 3.2 out of 5 stars from over 6 customers. March X-Series 8-80x56mm Scope: This could very well be the most powerful scope in existence, with specs that scream overkill. Made just a little over 4-5 years ago in 2010, the March X-Series 8-80x56mm Scope represents everything that’s good and bad about “over-magnification” or “overpowered” scopes. With misty and thick air full of mirages, extreme magnification won’t help. However, when you’re faced with excellent conditions, clear skies, and so forth, then a scope with 50x magnification and beyond can actually help with your accuracy and MOA click adjustments. Even with its overcranked power, you can always crank it back down to something sane, like 9x or 20x. You can see bullet holes at long range with higher magnification as long as conditions are good. You can also keep your group centered and better judge your hold-offs with specs like ED lens tech, 10 times zoom ratios, 60 MOA for elevation adjustment, and 40 MOA for windage adjustment. Despite the exit pupil and brightness issues, the March‐X range has a lot of perks to it as long as you keep in mind the aforementioned detriments. It’s a tactical scope innovation with zero set facility on its tactical turrets and your pick in terms of reticles, (crosshair or dot). 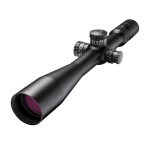 At any rate, the March X-series has the biggest zoom ratio and magnification range for scopes at present. 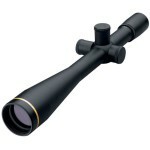 March Long Range BR 10-60x52mm: Of course, the second most powerful scope would still be from March. It’s not as extreme as the X-Series and its dizzying 80x magnification (which probably involves a lot of parallax adjustment by the power of 10), but for a time until 2010, 60x was the maximum magnification for scopes as well. 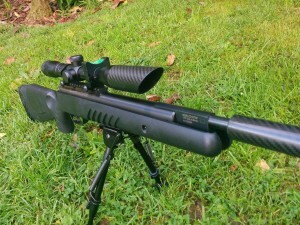 This scope actually features many of the same specs as the X-Series, like the fact that one turn equals 10 MOA for 40 MOA of windage adjustment and 60 MOA of elevation adjustment. 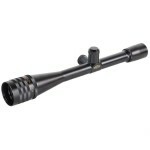 Naturally, this 30-millimeter tube body long-range scope also has side focus and parallax adjustment. This is to avoid any parallax shenanigans while you’re sniping from afar. Furthermore, its focus unlike “normal” scopes is ten yards to infinity. As for the target turrets, they’re zero settable and have clearly engraved numbers for unambiguous use. You have a wide range of reticles to choose from with the BR 10-60x, like glass-etched reticles, crosshair with dot, or just traditional wire crosshairs. The whole package comes with turret caps, leather lens covers, and MD disc. It also has a sunshade that’s about three inches in size so that you won’t have to give away your position with your shiny scope reflecting from the far distance. Sightmark Triple Duty Rifle Scope 30mm Tube 10-40x56mm Side Focus Illuminated Mil-Dot Reticle Matte: Moving onto other brands with high magnification, there’s also Sightmark’s offering, the Sightmark Triple Duty Rifle Scope 30mm Tube 10-40x56mm Side Focus Illuminated Mil-Dot Reticle Matte. Rated 3.2 out of 5 stars from over 6 customers. Click the image for prices and reviews! To break it down, the Sightmark Triple Duty Rifle Scope has a 30-millimeter tube (which is quite the standard for scopes like this), 10x to 40x magnification that’s about 20x short of what the March Long Range BR provides, a huge 56-millimeter diameter for its objective, side focus features, and a Mil-Dot reticle that’s perfect for tactical and sniping use and is also illuminated to boot for low-lighting conditions. Nowadays, many short-range benchers are using high magnifications that range from 40x to 60x for even at 100 and 200 yards rather than do the commonsensical thing and get a 1x-4x scout riflescope and shoot without looking at the short hairs of their game or varmints. This kind of usage can be done with the Sightmark Triple Duty Rifle Scope, allowing you to get extreme surgical precision when it comes to shot placement. With gravity and air resistance adjusted, you’ll only be off your target by mere millimeters or even smaller than that. 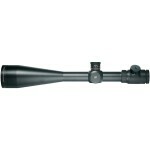 You can even shoot the same hole multiple times at this extreme magnification. 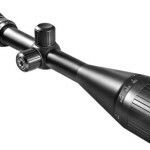 BARSKA 10-40X50 AO Varmint Mil-Dot Riflescope: Amazingly enough, the fourth scope in this list is Barska (or BARSKA) with a Varmint Scope that’s seemingly been given extra specs to allow for long-range, high-power shooting and extreme magnification. Rated 3.7 out of 5 stars from over 70 customers. Click the image for prices and reviews! 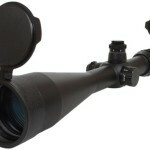 It has a 50-millimeter objective, which is the smallest size in this list, plus the requisite 10x to 40x magnification. 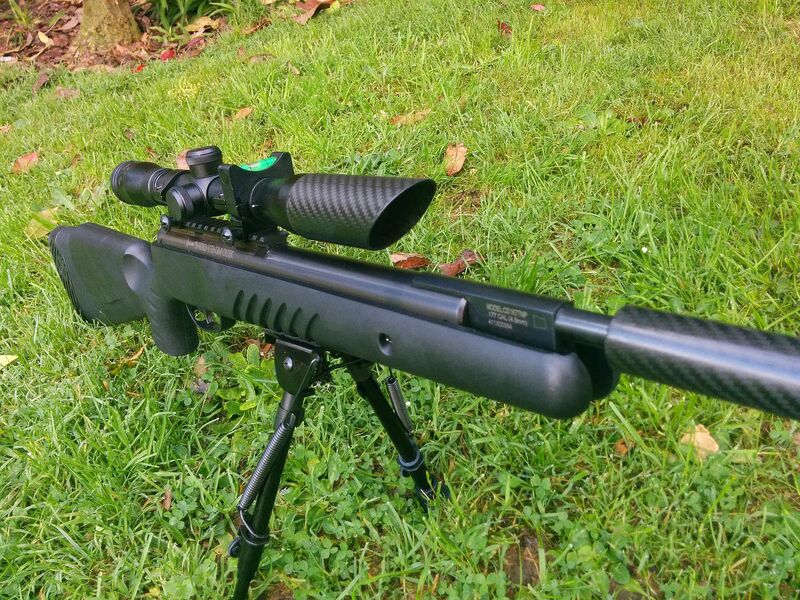 This allows for long-range shooting at a sniper’s level, extreme target shooting that rips apart the bull’s eye and nothing else, and deadly accurate varmint hunting for critters that skitter along so fast you’d have to be accurate in your shots. The thing that Barska brings to the table is eye relief of 3.6 inches, a five millimeter exit pupil, generous field of view, a click value of , and high-quality parallax correction for this high magnification rate, unsurpassed accuracy you’d expect from the Barska brand as seen in its “lower” magnification offerings, extra-high and extra-grip windage and elevation turrets to ensure that you’re as precise as possible with your shots, and multicoated optics for the clearest and brightest images from your scope as much as possible. It also keeps up with March and Sightmark in terms of reticle options, since it offers multiple sizes and reticle types as well. As for its warranty, it’s classified as limited lifetime. In a nutshell, the March X-Series 8-80x56mm Scope is the most powerful scope known to man since 2010 until something happens in the near future to change that. It’s followed by the March Long Range BR 10-60x52mm, and then at third comes Sightmark Triple Duty Rifle Scope 30mm Tube 10-40x56mm Side Focus Illuminated Mil-Dot Reticle Matte and at last comes BARSKA 10-40X50 AO Varmint Mil-Dot Riflescope, but only because it has the smallest objective of the four offerings. As a final word of advice, when dealing with long-rangers like these, watch out for terrible low magnification quality, parallax, exit eye pupil issues, and brightness problems.